Marching bands demand a setting with plenty of pomp. 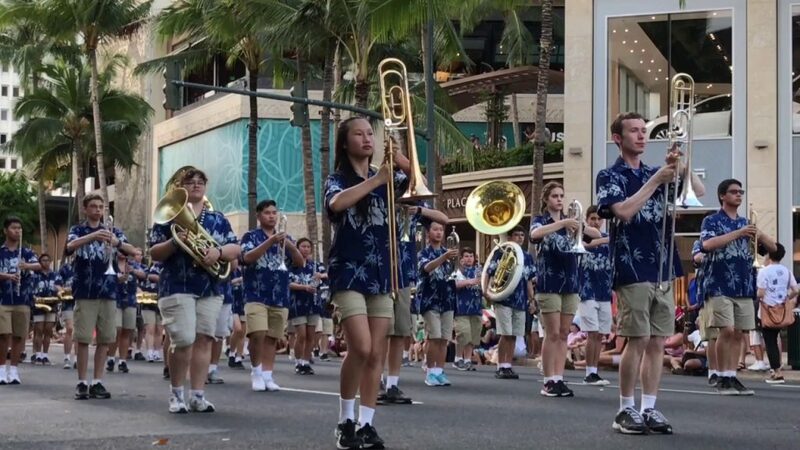 These performance opportunities let school bands parade their musical chops as well as their showmanship. Each year, thousands of high schoolers practice assiduously, gearing up for the day they don their uniforms, hoist their instruments and strut their stuff— musically and literally. 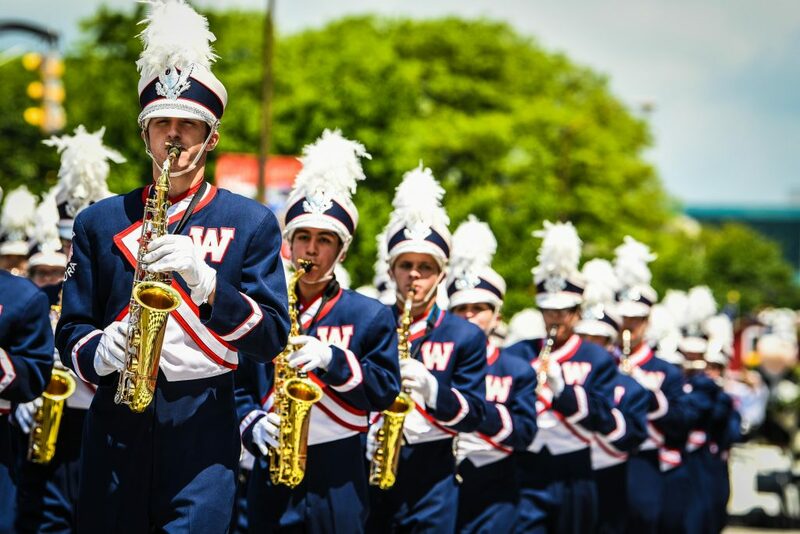 Why not give your students a chance to shine on the big stage — the nation’s top parades? We’ve already covered some of the big-name parades: the Macy’s Thanksgiving Day Parade, the Rose Bowl, St. Patrick’s Day Parade and others. But there are many more opportunities available to high school marching bands. Clearly, participating in the Outback Bowl’s halftime show is a major event for band members, but that’s not all they can do. The Outback Bowl’s festivities take up several days. There’s the official Outback Bowl parade on New Year’s Eve and a firework show in Busch Gardens. There are the optional field show, jazz and concert band competitions. And come game day, field show winners have the opportunity to be featured in the Bowl’s Pregame Show. Consider this the Macy’s Parade of motorsports. With Indy 500 drivers serving as honorary grand marshals and a crew of celebrities, politicians, parade floats and helium balloons to round out the pageantry, it’s no wonder that this parade receives national TV coverage. Marching bands from Indiana and elsewhere (including the Navy and other military bands) tackle the two-mile course through Indianapolis. Each year honors a different theme. In 2018, that theme will be “Illuminate, Innovate, Indianapolis.” That means light shows, brightly-colored floats, and song choices to match. From Indy Car racing, we head south to Kentucky and the most exciting two minutes in sports: the Kentucky Derby. Central to Kentucky Derby weekend — and far more interesting to band geeks — is the Pegasus Parade. Started in 1956 (on a budget of $640), the Pegasus Parade became a mainstay in the Kentucky Derby Festival. It winds through Louisville’s downtown replete with floats, clowns, celebrities and equestrian units. Celebrity musical guests such as Gladys Knight and Loretta Lynn have also participated in the festivities. Celebrating the cultural heritage of Hawaii, Japan and other Pacific ethnic groups, the Pan-Pacific Festival is part performance venue, part history lesson, part cultural appreciation and all fun. One of the many highlights is the Performing Arts Showcase, which includes traditional dancing, folklore and musical performances from Japan and Hawaii as well as some from Korean, Thai and Filipino groups. Another is the Hula Festival. Local and international hula-dancing groups practice all year for the chance to demonstrate this Hawaiian art form. The Pan-Pacific festival opens with a Ho’olaule’a (block party) on Kalakaua Avenue and concludes on Sunday evening with the Pan-Pacific Parade on the same street. High school marching bands from all over the country share the route with dancers, equestrians and other local or cultural groups. Our next entry isn’t exactly a parade, and it doesn’t exactly include the entire marching band. What it does is break down the band into its components — percussion, wind and color guard — and give each one a chance to compete on their own merits. Good to know: In WGI contests, percussion units don’t march — but wind units do. Also, two kinds of competitions are open: scholastic competitions, for participant groups from the same school, and independent competitions, which are open to groups not affiliated with any particular institution. Students who do well can win a nice chunk of scholarship money for their future education. The WGI Championships represent the pinnacle of regional competitions, and they culminate in an astounding final round. 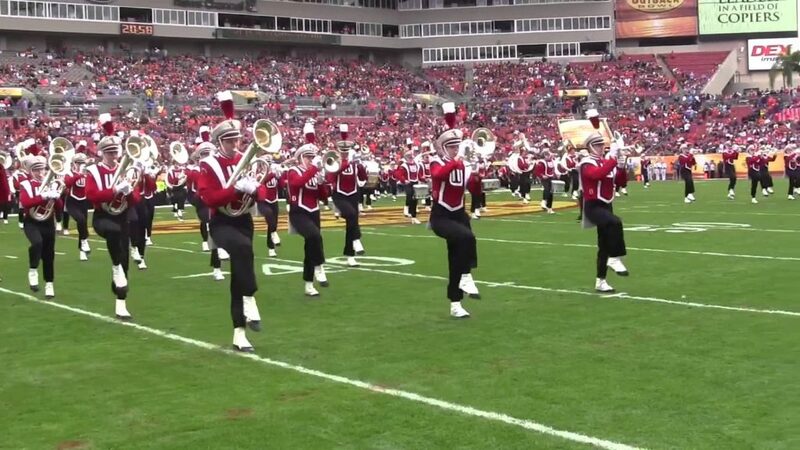 It may not be the Rose Bowl, but for marching bands, this is certainly their own version of a bowl game. Who doesn’t love a state fair? The excitement, the animals, every possible kind of food fried and placed on a stick — it’s the ideal kid-friendly adventure. Also known as the Eastern States Exposition, The Big E is the New England version of a state fair. There are all the usual fair trimmings: rides, shopping, livestock competitions and live entertainment. More importantly, there are not one but two parades. The first, the Big E Mardi Gras Parade, is a bit of the Big Easy transplanted to New England’s soil. 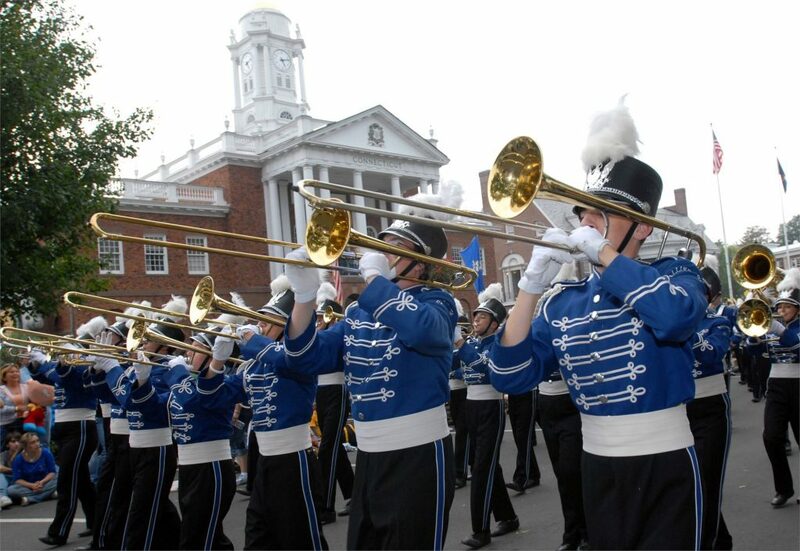 The second, the Big E Daily Parade, is where bands get to shine. Filled with animals, costumed characters, bands, musical groups and BiggiE the Big E’s mascot, it’s an opportunity to join the fun. And it happens every day! Give your marching band a chance to shine in something a bit bigger than their hometown— get them a spot in one of America’s famously fun parades!